Times are good for the hotel industry, with many hotel and resort companies adding properties to their portfolio. When a property portfolio expands, everyone at the company works harder, there are more staff to train and manage, more reservations to process, and many more guests to track and market to. The Maestro team understands this growth and the elevation in operation and technology requirements that go along with it. Maestro's staff of seasoned hotel and technology professionals delivers market leading support services together with Maestro Multi-Property PMS hotel management software. Click here for more information on how to reserve, engage and socialize with Maestro PMS. "We continue to enhance Maestro PMS with mobile and tablet cutting edge tools that independents need to engage with their guests before check-in, throughout their stay, and well after departure," said Warren Dehan, President, Maestro PMS. "Our focus is to empower all of our clients, from large scale 300+ room multi-property operators to boutique luxury hotel and resort collections, to manage their data growth smoothly and efficiently." Maestro's multi-property luxury hotel and resort management software is a powerful enterprise platform with a single database that enables staff and management to deliver personalized service for every guest regardless of which hotel in the portfolio they visit. When teamed with Maestro's ResWave online booking engine, guests can book rooms at any of the company's properties and add cross-property amenities, such as spa and activities that increase on-property revenue. With all guests in one database, personalized communications and effective email marketing are a cinch. Maestro's easy remote access allows company executives to monitor property and chain operations on the go through a web browser on any tablet, mobile and desktop device. Operators have the ease of operating a single property without giving up the sophistication and features they need for complex operations with the flexibility of cloud-based or on-premise implementation. "Ocean House Management operates four separate properties with unique personalities on one Maestro Multi-Property system. Maestro is great for my reservation agents. We can provide better service because staff can instantly recognize each guest when they call in and can toggle between hotels to find availability if one is sold out," said Christine Smith, Director of Luxury Sales and Strategic Partnership for Ocean House Management. Ocean House Management uses Maestro's fully-integrated ResWave booking engine with online loyalty enhancement. ResWave lets guests easily select property and room options and add amenities and activities to their reservation. 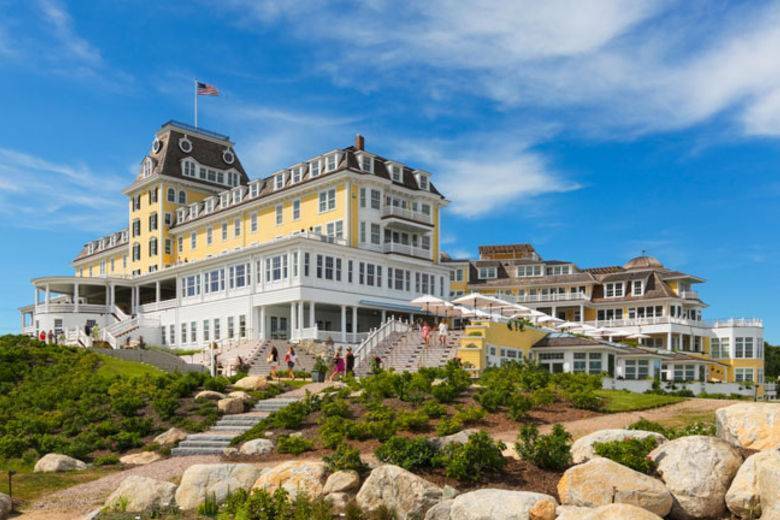 "Maestro's flexibility ensures that guests who book online have access to all Ocean House Management Collection properties and amenities," Smith said. Ocean House Management operates the historic Weekapaug Inn on the Rhode Island shore and the Spicer Mansion, a luxury boutique inn in downtown Mystic. The historic Watch Hill Inn is a villa property overlooking Little Narragansett Bay. The company's Ocean House hotel is a luxury seaside resort and is one of the only Forbes Triple Five-Star hotels in the world.